Just a gentle reminder for any parent who hasn't yet submitted a Gift Aid Declaration that it's not too late to do so. We recently received £200.85 in GiftAid from HMRC for our first claim relating to subs going back to 2001.  A year's subscription to Crofton Scout Group is currently £78 (assuming a 39 week year). Gift Aid can potentially turn that amount into £100! We are currently preparing the necessary data for the 2006-07 Tax Year Gift Aid claim. With the declarations we have already we can claim back approx £240. Please help us to increase this amount if you are able to make a Gift Aid Declaration. I have some more Gift aid Forms filled in by some kind parents. PS Thank you to all parents who have already returned their forms, your support is greatly received.